Berry Marquees may change this policy at any time in which case we shall notify you of any changes to this policy by noting this on this website at www.berrymarquees.com/privacy-policy. The changes will apply to your use of our services after we have given notice. If you do not wish to accept the new policy you should inform us and not continue to use our services. If you continue to use our services after the date on which the change comes into effect, this indicates your agreement to be bound by the new policy. This policy was last changed on 14 May 2018. For the purposes of the data we collect, we rely on legitimate interest or consent. A legitimate interest is when we have a business or commercial reason to use your information. But even then, it must not unfairly go against what is right and best for you. Where we rely on our legitimate interest, we have detailed what it is below. We collect information about you to provide a response to your brief, to manage your booking, to be able to provide the required services and if you agree, to email you about other products and services we think may be of interest to you. Berry Marquees Ltd will not share your information for marketing purposes with third party companies other than for transactional processing and delivering services. To provide a response to your brief, enquiry or request We’ve got to do this to be able to provide you with a reply to your enquiry. How we use your company information Why? For corporate and business bookings, we provide suitable responses to the brief. We use this to be able to provide the best response to suit your requirements. What you preferences are — for example, style of marquee, menus, wines, experiences – information collected during your booking process or through post event feedback. How we use your purchase and attendance history Why? Provide customer service and support We do this to fulfil our obligations to you. Finding out what you, and other customers, like To ensure we are giving you what you want. Payment record We need to know you have paid and fulfilled your previous obligations so we can fulfil future obligations to you. We would like to send you information about our services by email that may be of interest to you. If you have consented to receive marketing, you may opt out at a later date. You have a right at any time to stop us from contacting you. If you no longer wish to be contacted for marketing purposes, please click here or email sales@berrymarquees.com. For the purposes of ‘consent’, this will apply to registration through our website www.berrymarquees.com by ticking an opt-in box to receive marketing information from Berry Marquees Ltd on a third party website or through the booking/enquiry process as a ‘soft opt-in’ or event feedback process via an opt-in box. You may be asked over the phone whilst making a telephone reservation if you would like to opt-in to receive marketing information, this will be recorded on our booking system with a date and time stamp. You have a right at any time to stop us from contacting you. 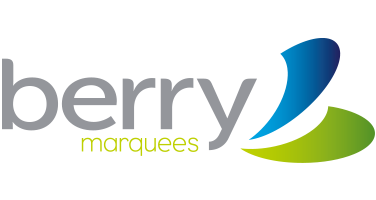 If you no longer wish to be contacted for marketing purposes, please click here or email sales@berrymarquees.com. You will also have the option to opt out on every marketing email. If reasonably necessary or required to meet legal or regulatory requirements, resolve disputes, prevent fraud and abuse, or enforce our terms and conditions, we may also keep hold of some of your information as required, even after you have closed your account or it is no longer needed to provide the services to you. In any event we will delete your personal data on the date one month after the date on which you end your relationship with us. The right to request the period for which the data will be stored (or the criteria to determine that period). As part of this request, we will take all reasonable steps to confirm your identity before providing you with details of any personal information we may hold about you. Berry Marquees Ltd recognises that its customers are increasingly concerned about how companies protect personal information from misuse and abuse and about privacy in general. We are constantly reviewing and enhancing our technical, physical and managerial procedures and rules to protect your personal data from unauthorised access, accidental loss and/or destruction. We use industry standard TLS certificates to provide encryption of data in transit, for example, all access to our website, internal systems and management portals is covered by HTTPS. We may pass your information to our third-party service providers, agents, subcontractors and other associated organisations for the purposes of completing tasks and providing services to you on our behalf. When we use third party service providers, we only disclose the personal information that is necessary to deliver the service and we have a contract in place that requires them to keep the information secure and not for use it for their own direct marketing purposes. Third parties will be required to remove your information from their systems as soon as it is no longer needed for the purposes it was shared for (for example providing services for an event). Berry Marquees Ltd stores all personal data securely on either cloud storage systems or its own internal storage systems. All our cloud storage is kept in EU based or EU GDPR compliant data centres which are managed with sophisticated high level security systems. These storage services have their own data protection policies which we can provide you with on request. We choose storage providers with excellent security policies and systems to ensure minimal risk of data breaches and unauthorised access. Our internal storage and communications systems are protected by high level, managed security systems, which are updated regularly. Our IT infrastructure is managed by experts and is regularly reviewed to ensure security is constantly up to date. Berry Marquees Ltd only keeps information in hard copy where this is required, such as signed documentation (e.g. contracts) or where there is a legal requirement to maintain original documents. All hard copy documentation containing personal data is stored securely in locked cabinets that are only accessible by employees of Berry Marquees Ltd.
Once hard copy documentation is no longer required, it is disposed of securely by shredding and incineration.